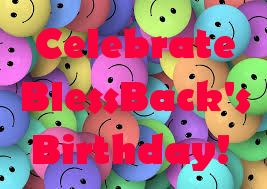 Join us to celebrate BlessBack’s third birthday! 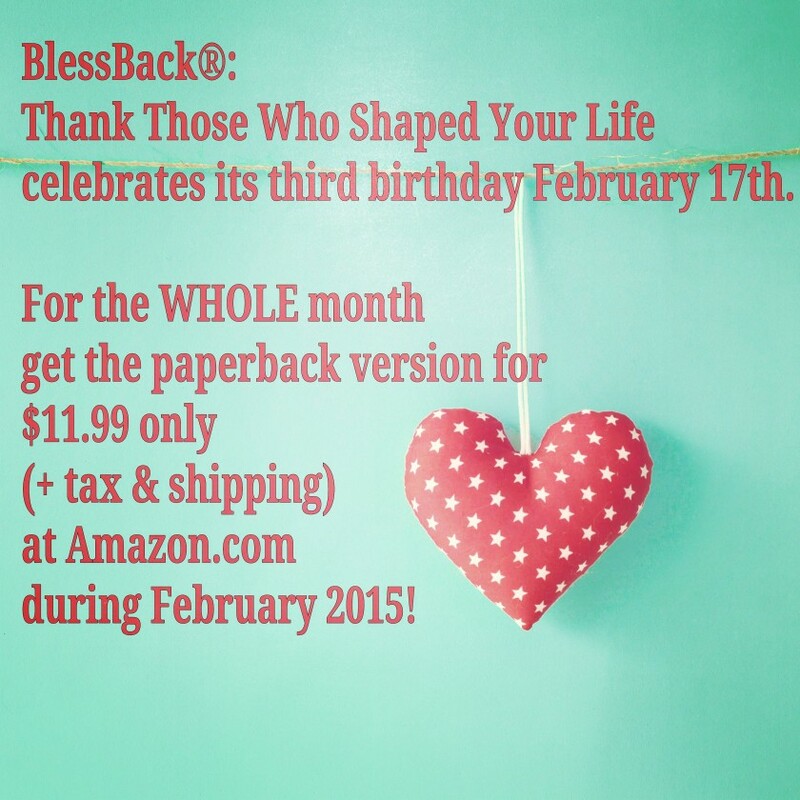 As a way to express my thanks to all of you for supporting my book on gratitude, BlessBack®: Thank Those Who Shaped Your Life is on sale for the entire month of February 2015. Now’s your chance to get a paperback version for just $11.99. Hurry, offer ends February 28th at 11:59 p.m. Click the red button to be taken to Amazon to get your discounted book.